Present Antec case has USB and audio plugs on front of case, as well as power on and reset buttons. If I build an new system and reuse the case will those buttons and plugs be functional? How can I verify that I can connect these items to the new MB and have them work? 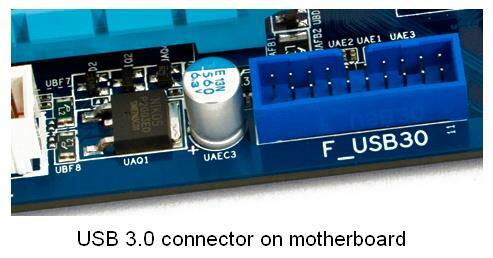 Also will the USB plug wiring handle USB 3.0 (present MB is 2.0)? Your power/reset button will work on pretty much any mobo. If you have USB 3.0 connectors on your case then you'll have to buy a mobo that can support it (if you have USB 2.0 on the case then you should be fine). Audio connectors should work too. P.S. : If your case has USB 2.0 I would upgrade it because 3.0/3.1 is are way faster. Hey thanks man. That was my question. The Antec is a 2009 model, so more than likely it has 2.0 connectors, is that correct? Can I verify what type of USB connector is on the case by visual inspection or do I need to know the specs of the case from the manufacturer? That's a neat device from Anker that you linked to. It says it's for Windows xp, 7, and 8 but doesn't mention 10. You can differentiate USB 3.0 from USB 2.0 by the color (blue is 3.0 and black/white is 2.0), sometimes they paint USB 3.0 other colors but if that happens then they probably written what USB standard it is next to the port. Thanks. It looks like most MBs for sale today are 3.0 rather than 3.1 so I guess that's probably not worth worrying about searching for 3.1 MBs. Do you know if peripherals like USB thumb drives are available in 3.1? So is it worth searching for a mobo that has usb 3.1 capability? Also, can you tell me how to list my system specs in my posts? Is it signature? Thanks. I'll ask again since you may have missed it. Is it worthwhile searching for a mobo that has usb 3.1 capability? I don't know exactly but I think (don't quote me on this) that USB 3.1 is 2x faster than USB 3.0. I tried searching on Google but I didn't understand the 1st result so I gave up . I'll add the AMD to it.